Readers will recall the changes to the Horizon labels (right) to incorporate the 2D bar code (reported in October 2015). 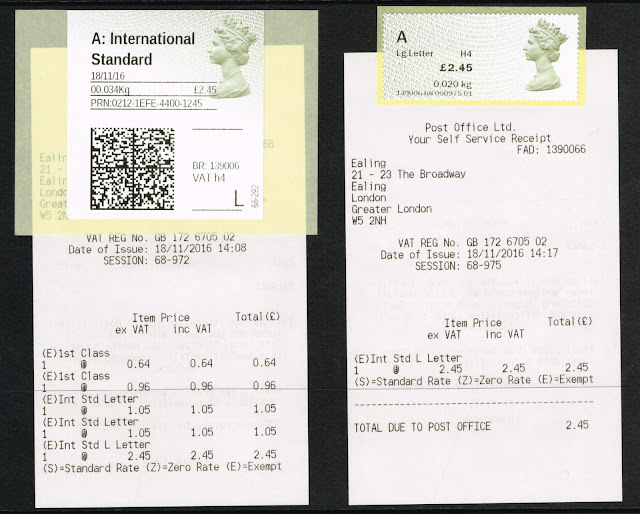 The purpose of this was to increase Royal Mail's ability to track parcels through their system even when the customer had not paid for a tracked service. This change had already been introduced for big users and contract customers, and Royal Mail was keen to extend it to packets and parcels sent from Post Office counters. 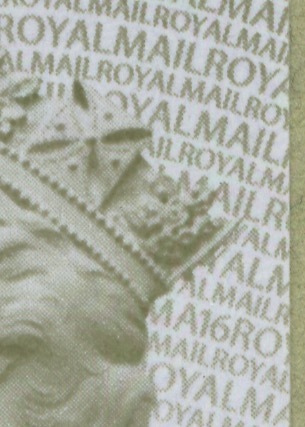 However that still left stamped mail, and mail sent using Open Value labels from the Self-Service Kiosks (SSK) in Post Office branches - senders were increasingly encouraged to use SSKs instead of the counter which could then be used more for foreign money and insurance transactions. Unfortunately the Norwich SSK machines are producing a very poor quality print, but the similarity is obvious, even if the details are repositioned. From the top, the date, weight and value (£1.20 in this case). At lower right, the destination postcode, house number, branch code and VAT code. I presume that the country is shown if the destination is overseas, and the PO Box number in place of the house number. At one time one could find a comprehensive list of PO branches which had Wincor and then NCR machines, identified by Branch Code. Unfortunately this is difficult to maintain without input from a great many people and a lot of work: as the network has expanded it has become more difficult and each relocation (eg from a Crown Office) brings a new branch code. Norwich Castle Mall Crown Office was 019136; the new office in WHSmith's St Stephen's Street branch is 558136) 136 being the area code). with 133 NR3 1NY being the destination address, and NR1 3QP being the Post Office branch postcode. 241116 is the date of production of the label, and theoretically the date of posting, while (0)120 is the postage. If anybody can interpret the rest, I will be pleased to add it. 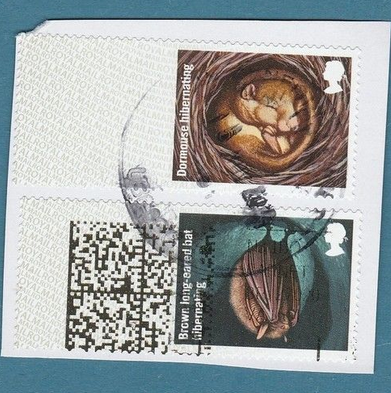 No sooner had I posted this than DP sent a link to a batch of Post and Go/SSK stamps on eBay which included this pair of Hibernating Animals. Whilst I was buying the open value versions of the labels, the machine at Ealing printed the large letter label on the new large size label. I understand from discussions with the lady overseeing the machines that if either the 1st or 2nd class printer can’t print the label, it is printed on the large label, so large NCR labels with weights under 101g should be worth looking out for. I’ve attached a scan of the large and small size labels (although they are different weights they are both under the 101g that trigger the vending of the large label). Conversely if the large label printer can’t print it defaults to the small labels printers. I suspect 'FRA' refers to France as a destination. South Hampstead (ex last Wincor), Slough, Redhill, Bromley (Kent), Aylesbury, Ashton under Lyme, Shrewsbury, East Ham, Swansea, Chelmsford, Lewisham, Folkestone, Canterbury, Brighton, Hayes (Middx), Uxbridge, Worcester, Middlesbrough, Southampton, Winchester, Glasgow, Swindon, Liverpool, Newcastle, Great Yarmouth and Aberdeen. Romford due shortly there are bound to be others not known at present. Also now found are NCR kiosks that are card only the scales have been moved in front of the stamp chutes and the receipt printer is where the coin chute was, they are therefore smaller in size, 3 have been added at Great Portland Street now making 7 kiosks there others must also exist or are about to be installed. Kings Heath (Birmingham), Burnley, Cannock, Stockton-on-Tees, Hanley (Stoke on Trent), Sutton Coldfield, Telford, Uckfield, Wallington, West Wickham, Witney & Felixstowe. It will be interesting to see if other franchisees get Self-Service machines. I wonder if the new machines at Great Portland Street was a planned evolution of the SSKs or a measure to increase capacity as a result of the closure of the Plaza branch on Oxford Street? visited Staines n 20/12/16 and it odoesn't have any SSK. Adding further details to the above list there are no SSKs at Bexleyheath, Hemel Hempstead, Forest Hill or Witney also according to staff at Romford there are none at Brentwood either. Not included in the list of branches above is Pinner which also has no kiosks as had the recently closed Crown office. Over 100 grams does not trigger a label, it is the selection of large letter small parcel or above. When over 100 grams that is automatic. Horizon also generates a 2d barcode and a subsequent oldstyle overprint when the addressee is the same. 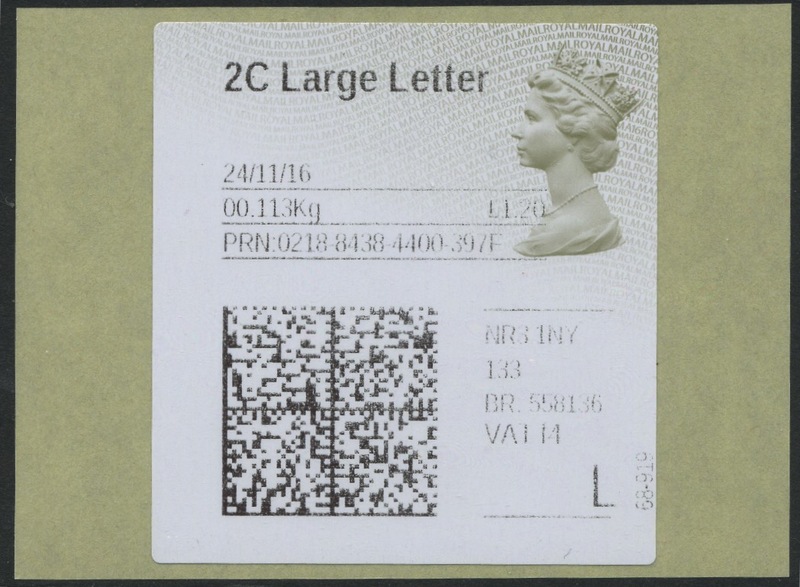 Currently if you use an item of 20g or less on the scales, you get the small label rather than the large label for ‘large letter’ OV labels. Having visited a number of offices to get examples for my collection, it was surprising to see how many SSKs were displaying weights when nothing was on the scales, so best check before you use the scales. If you need to zero the scales, the middle button next to the weight display will do the job. Just for the record, Crown Offices were the worst offenders, though Hounslow WHS had the greatest weigh being displayed when the scales were not in use.